Join us in the beautiful archipelago of Indonesia, where you get to volunteer for the development of the community at hand and get ready for an intercultural journey unlike any other! This growing nation boasts scenic charms, that ranges from grand mountains to stunning beaches, and diverse traditional cultures from its many regions. Our programs offer you the chance to be immersed in the local culture by living with a host family. You will experience firsthand what it’s like to be in an Indonesian family and become an honorary member of the local community! From getting to know their rich cultural traditions, tasting yummy cuisines, and joining their daily communal activities, there is so much to gain as you contribute to a positive change in their society. Check out what volunteering in Indonesia is like for these Australian youths! With such diversity in its culture, there is also a diversity in the fields of volunteer projects that we offer in many beautiful parts of Indonesia. Read on and see which one calls out to you the most! Join the group of dedicated student volunteers at Ruang Belajar Aqil (Aqil Learning Space), a youth-driven non-profit in research-based community service projects in collaboration with local communities in the region. From women and children empowerment, alternative early education, to community-based tourism, you will not be short of exciting activities in this college town! Bengkala is the home of the largest deaf-mute population, as well as the pioneer for deaf-mute integration in Indonesia. Share your knowledge in household finances, environmental management, and creative economy to equip the local deaf-mute community with the skills to thrive! Volunteer for the capacity building of underprivileged youth through creative education. In collaboration with the English Department of University of Indonesia, the organization runs programs in English teaching and applied theatre to help nurture the youth’s creativity and self-expression. Freshly harvested honeycomb in Negara, Bali. Bees are one of the most important creatures in our ecosystems. 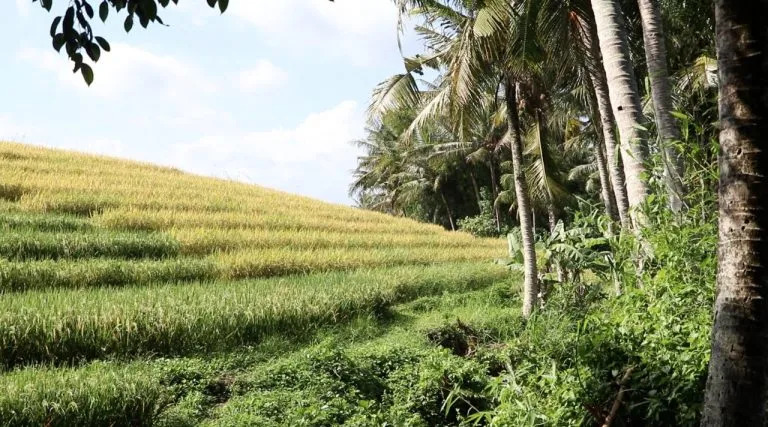 Learn how beekeeping works by working with the seasoned farmer firsthand, and see how you can utilize your skills to contribute to the sustainability of honeybees in the idyllic part of Bali.